If you haven’t already heard: The Ashley Book of Knots, authoritative tome of marlinespike seamanship and compendium of the best knots to move farm animals around with, is in the public domain. First published in 1944, it spans 620 pages and covers 3,854 knots. The book was digitized and added to Archive.org a little less than a year ago so we can all enjoy it. You can find the various download options here. If you’d prefer to add a print copy of the book to your library, it’s available at the WoodenBoat Store. 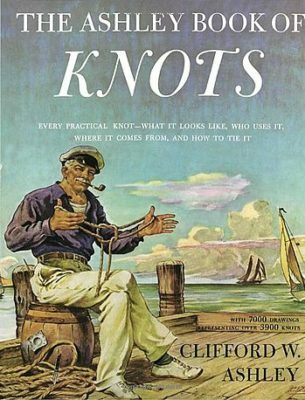 Have you used The Ashley Book of Knots to complete projects aboard, add a Bristol touch to your boat, or to learn the basics? Tell us your stories in the comments. I became a fan of Grog’s Animated Knots some years ago through my mountain climbing interests. Love the Tango skiff. I bought plans for a 12′ and reduced it to a 9′ (to fit the waters behind my house) simply by taking out 3′ in the middle of the drawings. On the picture it’s fitted with an old two-stroke, but that has been replaced by an Rhino R-VX 54 electric outboard to cruise the Dutch canals bordering my backyard. 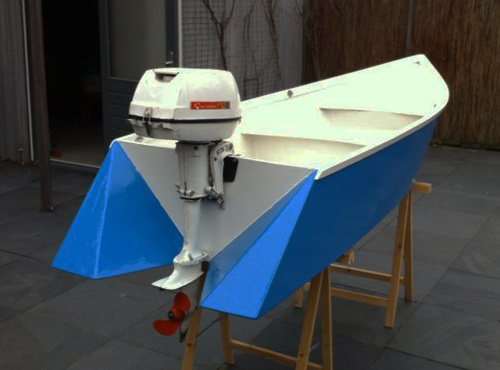 I’ve been searching for a design for a slightly larger boat—I want more capacity but to carry it with me on vacations it needs to be rooftop-proof—and somehow can’t find a nicer design as the Tango skiff, so I might end up building a second in larger size.